Bren-Tronics, Inc. has been designing and manufacturing military batteries and chargers for over 43 years. As the original system designer and manufacturer our expertise extends not only to batteries and chargers but also to portable power stations, fuel cells, vehicular batteries and hybrid systems integrating solar panels and wind turbines along with energy storage. Fast charging is the latest military “buzz word,” and it originates from commercial products and electric vehicles where manufacturers promise fast battery charging for the users smartphone, power drill or car. Is fast charging really applicable to the military market? Bren-Tronics has been involved in smart chargers for over 20 years, introducing the first lithium-ion battery charger for military applications in 1995. 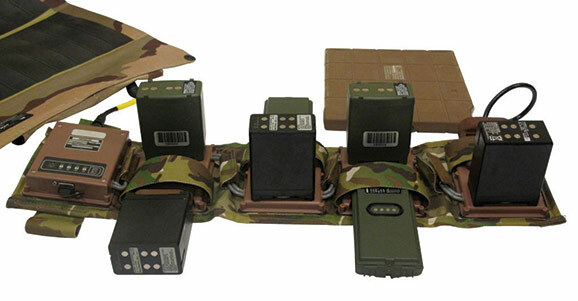 In 2001 the “OMNI Charge program” was granted to Bren-Tronics to develop the Soldier Portable Charger (SPC) and Vehicle Mounted Charger (VMC), unique smart universal battery chargers that were able to safely recharge batteries of different chemistries, sizes and shapes with interchangeable adapter plates. At that time, definition of the desired time to recharge lithium ion batteries was directly linked to the operational requirements. Nominal time to recharge multiple empty batteries had to be shorter than the mission time. This charging time enabled the war fighter to get fully charged batteries when the mission began. This raises an interesting question: Does the end-user really need to charge batteries faster today? The lithium-ion charging profile is referred to as “CCCV,” meaning constant-current, constant-voltage. When the battery is at low voltage, a fixed constant current is applied to the cell until its voltage reaches 4.2V. At this point, the charger switches from constant current to a constant voltage mode. The cell voltage is never allowed to exceed 4.2V, which means that the current is gradually reduced until it is nearly zero. When the cell voltage is 4.2V with no current applied, the lithium-ion cell is considered full. Strictly following the CCCV lithium-ion charge profile, a complete charge is reached in approximately 3 hours on the industry standard BB-2590/U. However, 80% of the charge capacity is reached within the CC stage, meaning 80% of the battery capacity is reached in the first 90 minutes. In 2003, when Bren-Tronics designed the first lithium-ion BB-2590/U battery, the pack provided a total energy of 190Wh. Today, Bren-Tronics increased the capacity of its BB-2590/U to +300Wh. Thanks to this improvement the battery could be fast charged to 80% in 90 min and still provides an impressive 30% increase over the original battery capacity. Fast charge applies only during the first charge stage – constant current – and under certain conditions such as not too extreme of a temperature. The battery must also be in good condition to accept additional stress produced by the fast charging. Therefore, the charger must be intelligent and include safety features to prevent inappropriate charging. Additionally, increasing the charge current does not reduce the full charge time by much and the CC stage will be shorter when the CV stage is extended. A high current charge will degrade battery performance over time, but it will allow to faster filling the battery to about 80%. Bren-Tronics SPC universal charger includes pre-charge current, thermal regulation and taper limit to protect the battery from abuse in certain fault conditions. Maximum charging current is applied only when the charger considers it is safe to do so. Along with sequential charging, the latest SPC chargers can also charge up to 8 batteries at once. This new feature charges the batteries in parallel. The charger detects which batteries can be charged as a group and uses the maximum power available for a longer time. This result in a tremendous savings of time, charging four MBITR batteries simultaneously takes four hours compared to three hours for charging only one. 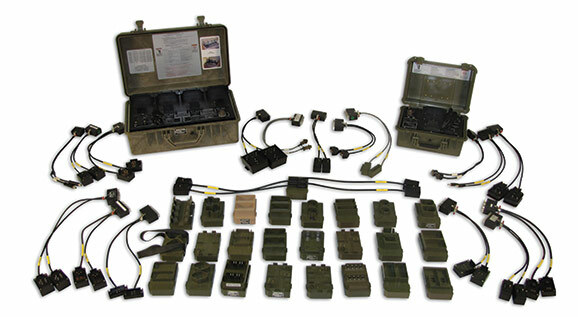 Bren-Tronics engineering efforts provide innovative ways to manage operational military charging requirements. One recent charging achievement is the Bren-Tronics FLEX Charger®. 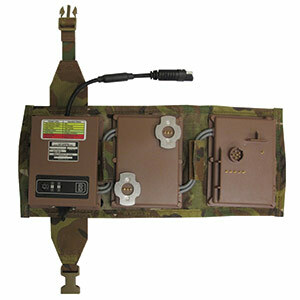 This is a powerful foldable lightweight charger that the warfighter can carry on or in their rucksack. Designed for field charging, the FLEX can be powered from a variety of power sources including solar, AC, DC or fuel cells. The charger weighs less than 500 grams, the charger includes advanced features such as Maximum Power Point Tracking and simultaneous charge capability. 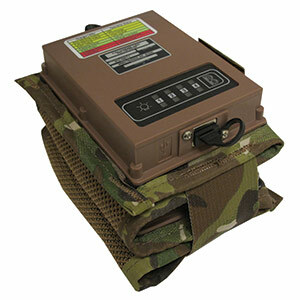 More than 10 FLEX Charger® configurations are available, capable of charging a variety of batteries including the PRC-152 Falcon HH battery, PRC-148 MBITR battery, BB-2590/U battery and conformal wearable battery. Average charge time is around 4 hours with the appropriate input power. Fast charging means something different to everyone. Safe charging remains Bren-Tronics’ first consideration. With more than 75,000 military chargers delivered, Bren-Tronics remains in a worldwide leading position to design and produce complete solutions including the battery, the charger and complete system integration to fit the warfighter requirements. “Running out of power is definitely not an option”.